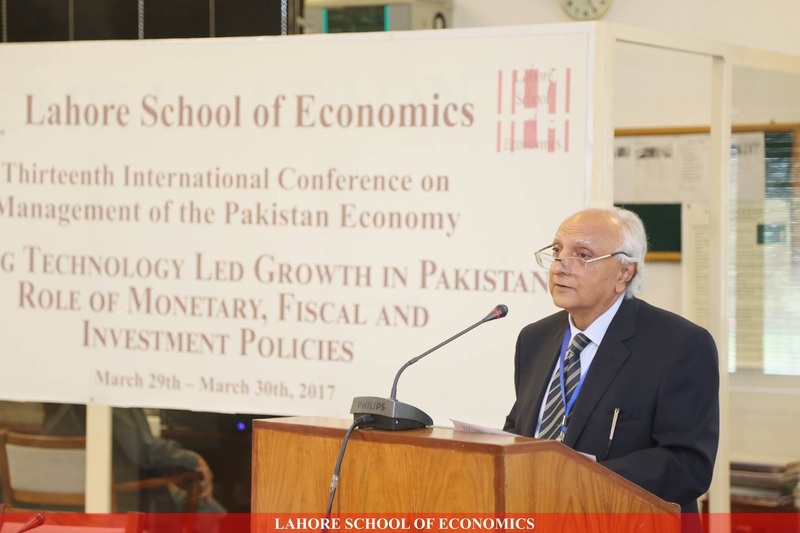 The Lahore School of Economics Thirteenth International Annual Conference on Management of the Pakistan Economy concluded today. The second day of the Conference opened with a session titled “Openness, Economic Growth and Firm Level Productivity”. The session was chaired by Matthew McCartney (Director of South Asian Studies; Associate Professor in the Political Economy and Human Development of India, University of Oxford, UK). The session started with the paper titled,“Pakistan’s Experience with the Pakistan-Chine Free Trade Agreement: Lessons for CPEC”. 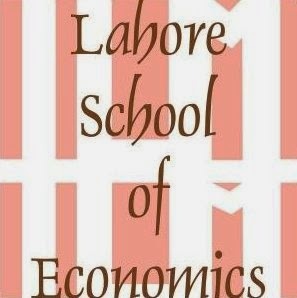 In this paper, Dr. Azam Chaudhry (Professor of Economics at the Lahore School and the Dean of the Economics Faculty) and his co-authors Dr. Theresa Chaudhry (Professor of Economics, Lahore School of Economics) and Nida Jamil (Teaching Fellow, Lahore School of Economics), provided fresh insights on Pakistan’s experience with the Pakistan-China Free Trade Agreement (FTA) to draw policy related conclusions for CPEC related initiatives. They tested the impact of the last major economic agreement between the two countries, which was the 2006 Pakistan-China Free Trade Agreement (FTA). The study found a significant impact of this trade agreement on the amount of trade between two countries however it also pointed out its sub optimal consequences in the context of Pakistan’s growth strategy. Econothon 2017 was hosted by the Economics Society of the Lahore School of Economics on the 27th of March 2017. 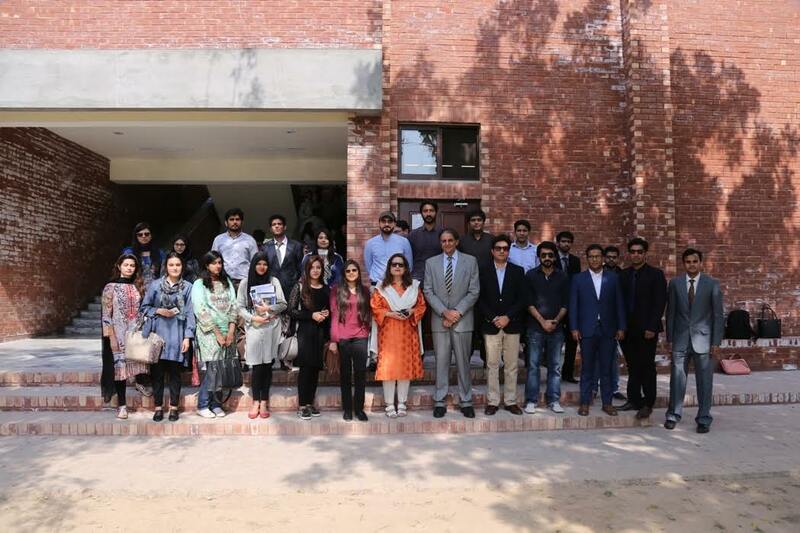 Besides the hosts, teams from LUMS, Kinnard College and other institutional organizations participated. The competition was structured in such a manner so as to challenge the individuals and enable them to bring out their abilities to tackle the real life issues by associating them with the available theoretical frameworks. The event consisted of 5 rounds; the first round consisted of MCQs followed by a Pic-to-ward round where the participants had to explain the provided image using appropriate economics concepts. The third round consisted of a policy round (Brain pop) which prompted the finalists to draft and elaborate upon an applicable policy with respect to the given scenario. These teams faced a Crisis Problem round and concluded the event with the final round; the Buzzer round. 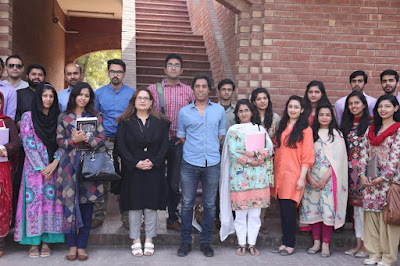 Matthew McCartnay (Director of South Asian Studies; Associate Professor in the Political Economy and Human Development of India, University of Oxford, UK), Ms. Farah Said, Ms. Marjan Nasir and Ms. Rabia Ikram judged the competition. As Pakistan attempts to reignite its economy and move towards sustained higher growth, it must overcome the binding constraints that have been responsible for the prolonged recession of the last decade. These factors have lowered the country’s average growth rate over the last 30 years, compared to a more robust average growth rate of 6 percent in the past. 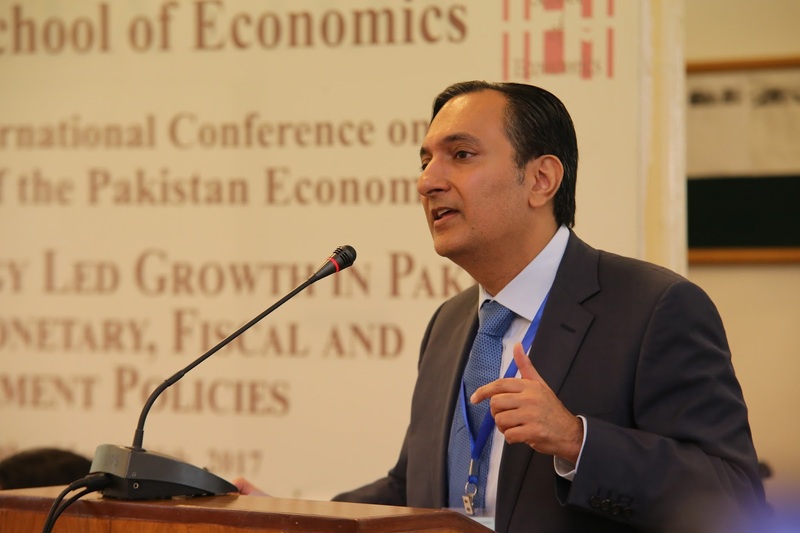 This paper argues that one must analyze macro-micro interaction to understand the dynamics of economic growth – including the prolonged and increasingly frequent downturns that have left Pakistan with an undervalued, underperforming economy. Only then can policymakers frame appropriate policies to create an enabling macroeconomic environment in which firms and other economic agents can help propel the economy onto a higher growth plane. 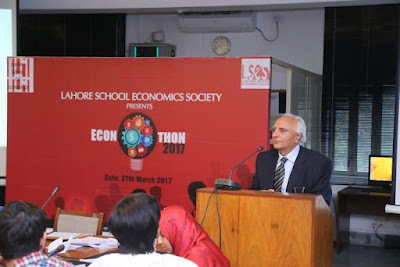 Mr. Aurangzeb Bhatti, CEO and Founder of Nankana Resort and CTO at The Safe City Lahore Project, was in Lahore School of Economics to deliver a lecture on ‘SME and Entrepreneurship Management’ to MBA students on Mar 6, 2017. Mr. Aurangzeb Bhatti talked about the business opportunities in Pakistan, especially those which promote entrepreneurial practices. He explained to the students how the tragedy of 9/11 shifted the focus of the investors who began investing in other parts of the world and how this gave birth to ‘Asia Pivot’. This meant that the wealth was coming back to Asia, and with that the opportunity of launching businesses also emerged. Next, he talked about CPEC and the opportunities it has brought to Pakistan. Mr. Bhatti predicted that this is bound to create lots of new opportunities. Mr. Shakeel Khokhar, CEO Bates Interflow was invited to the Lahore School of Economics to deliver a lecture on ‘Brand and Advertising Management’ to the out-going MBA students on March 02, 2017. The speaker explained what the term brand means in the advertising industry. “Brand is the lasting impression, an unspoken contract and a promise and that aims to convey to the consumers through advertisements,” he said. The goal of an advertisement, and hence an advertiser, is to make the brand in question relevant and important and this Mr. Khokhar stated can be done through proper positioning and storytelling. Next, he conducted an activity on these very lines which not only showed to the students all the backstage workings of brand development and positioning, but also showed to them how idea generation takes place in advertising agencies.